Held in Tibet every year, the Saga Dawa festival is one of the four major Buddhist festivals of the year, and occurs on the 15th day of the fourth month in the Tibetan lunar calendar. An important festival for both Buddhists and Hindus, it celebrates the birth, enlightenment, and death of the Buddha Sakyamuni, who attained enlightenment at the age of 35 at Bodhgaya, in India. On the instance of his death, or parinirvana, he instructed his disciples to strive to follow his teaching as a means of honoring him, instead of the usual flowers, incense, and lights. In Tibet, Saga Dawa is the “month of merits, as “Dawa’ means “month” and “Saga” is the name of a star that is prominent in the heavens during the fourth lunar month. The festival usually begins in May of the Gregorian calendar, and lasts for around 30 days. For 2018, the Saga Dawa festival starts on May 29 of the Gregorian calendar, and it is a great time to visit Tibet to learn more about the unique culture and religion of the region. In Tibet, the month of the Saga Dawa is an auspicious time for meritorious acts, including pilgrimages to sacred sites across the region. And while there are many sites across Tibet that are sacred for pilgrims, none is more sacred than the holy Mount Kailash, the center of the universe in four religions. 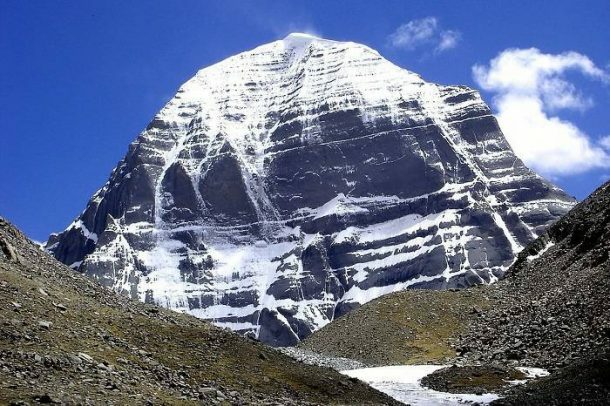 Known in various religions as Mount Kailash, Kangrinboqê, and Gang Rinpoche, Mount Kailash is a most sacred site for Hindus, Buddhists, Jains, and Bonpo. The mountain is also the legendary site of the famous battle between the Buddhist guru, Milarepa and the Bon mage, Naro Bön-chung. During the battle, neither could get the upper hand, until they agreed that whoever reached the summit of the mountain first would win. While Bön-chung flew up the mountainside on a magic drum, Milarepa sat meditating. 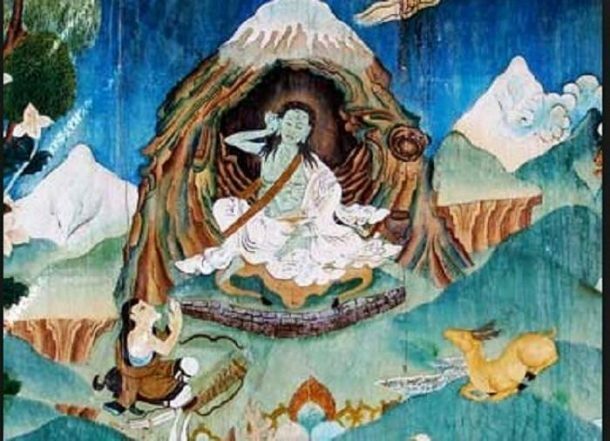 With Bön-chung close to reaching the top, Milarepa suddenly leapt into action, and flew to the top on the sunlight, overtaking Bön-chung before he could reach the summit. The tradition of making the pilgrimage to Mount Kailash during the Saga Dawa dates back thousands of years, and all four religions believe that circumambulating the mountain on foot is a ritual that will bring one closer to enlightenment. The kora around the sacred mountain is not the only tradition of the Saga Dawa Festival, and many believe it to be a time to gain merit through their actions. The full moon day of the Saga Dawa month is also very auspicious in Buddhism, and is known as the Saga Dawa Düchen, which is observed through the practice and performance of meritorious acts, as well as acts of generosity and extreme kindness. Tibetans also practice Life release, known as “Sojin”, during which they buy live animals, such as crickets, worms, and fish, and release them back to their natural habitats. They believe this acts of giving life also extends their own lifespan and creates a positive effect on their merits. While there are many things that Buddhists do to gain the increased merit during the Saga Dawa month, one of the most popular and hardest is the kora ritual around Mount Kailash. Performed as part of their pilgrimage to the sacred mountain, devout believers of all four religious practice the circumambulation of the mountain to become closer to enlightenment. The trek around the 52-kilometer circuit is arduous and rugged, reaching altitudes above 5,000 meters, and Tibetans believe that they can accumulate more merit on their journey towards enlightenment by performing the kora during the Saga Dawa month. In Buddhism, the merit is said to be multiplies one hundred thousand times for each circuit of the sacred Mount Kailash. 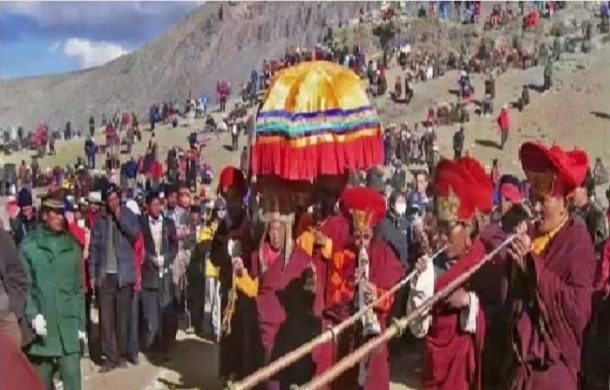 Buddhists, Hindus, Jains, and Bonpo are not the only ones to perform this ritual kora during the Saga Dawa month, and it is a very popular time for Tibet tours, with thousands of travelers flocking to Mount Kailash for the festivities. And now is the perfect time to plan your own trip to Mount Kailash, on one of our group tours to the sacred mountain. While the Saga Dawa Festival is held throughout Tibet, it is at Mount Kailash that the grandest ceremonies are undertaken. One of the most important elements of the festival is the erecting of the flagpole at Tarboche, at the southern foot of the mountain. The flagpole is lowered every year, and new prayer flags attached to it, removing the old ones without letting them touch the ground. Each new prayer flag represents an individual prayer that needs an answer, and the flags are left flying in the wind for the whole year. Tradition in Tibet says that, if the flagpole is not perfectly perpendicular when raised, then the whole of Tibet will be in trouble. Only the best pole-setters are permitted to erect the flagpole, to avoid catastrophe in the land. As the ritual pole-setting goes on, lamas and pilgrims walk around the perimeter of the flagpole, blowing instruments, beating on drums, and chanting sutras. 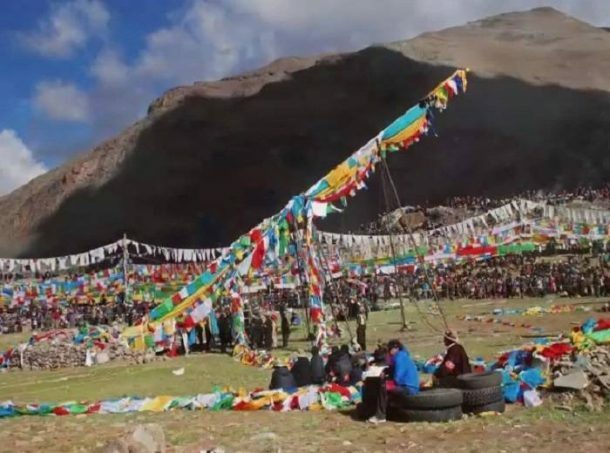 When the ritual erecting is complete, onlookers throw ground barley over themselves, for good luck, and many begin their kora trek around the sacred Mountain. 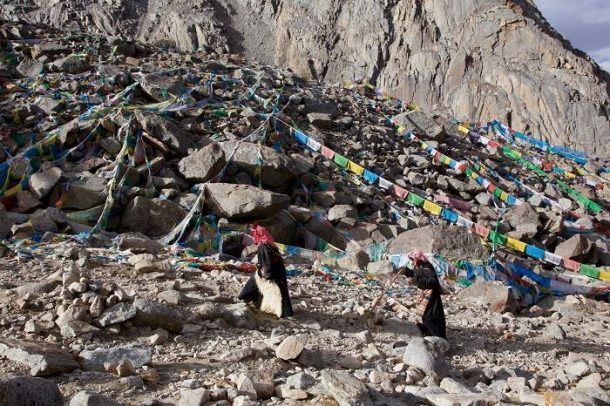 The Saga Dawa rituals at the site of the sacred mountain are one of the most spectacular and spiritually enthralling sights in Tibet, and many devout pilgrims walk thousands of kilometers across the plateau to be present during the ceremonies. As the rituals continue, pilgrims will throw scraps of paper with scriptures inscribed on them into the air. These papers, blown aloft by the wind, carry the teachings of Buddha to all the four corners of the world. Why visit Kailash during Saga Dawa? For the thousands of Buddhists and Hindus that travel from all over the world to the mountain, it is a journey of enlightenment and spirituality that is as important to them as breathing and eating. And observing this amazing spectacle first hand is undoubtedly one of the most awe-inspiring sights of the plateau. The festival can also be a very spiritual experience for tourists as much as the pilgrims, and throughout the whole proceedings, there is a feeling of reverence and devout belief. The Buddhist pilgrims believe that the aim of the Saga Dawa is to pray for long life for all gurus, for the spreading of the teachings of Buddha throughout the world, and for peace everlasting. 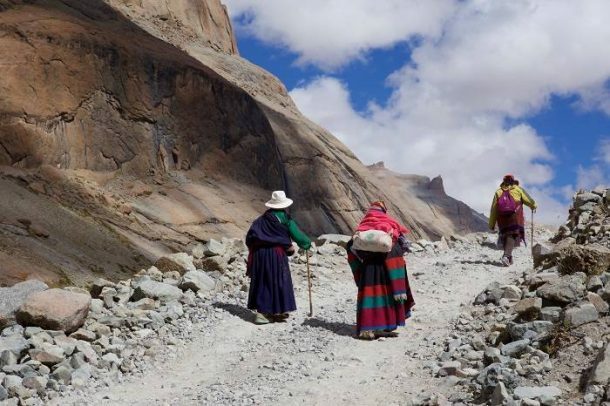 Traveling to Mount Kailash for the Saga Dawa Festival not only means you get to watch, but you can also join in, and take part in the prayers, the kora trek, and the offering of alms to the poor of the region. Even for those that are not religious, the experience is one that will last a lifetime.